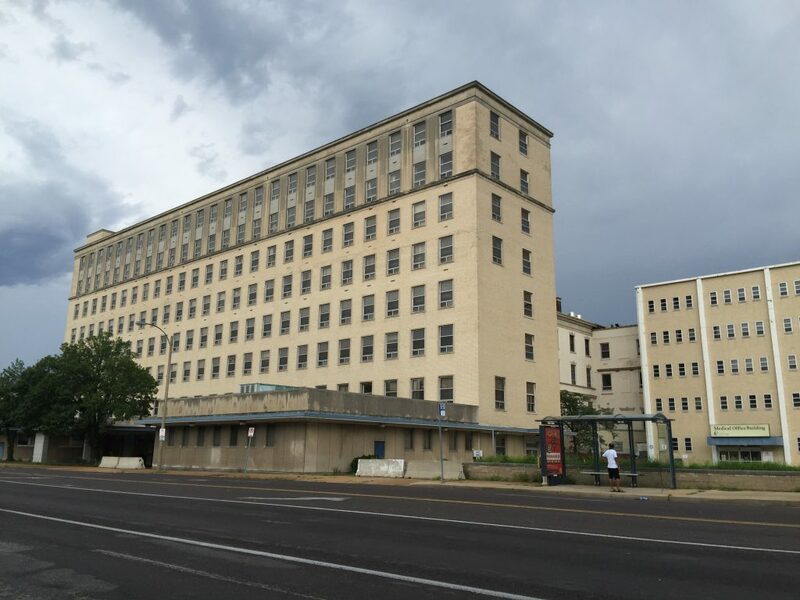 Last month, Maxine Clark, founder and retired chief executive of Build-A-Bear Workshop (now CEO of the Clark Fox Family Foundation), and Bob Clark, chairman and chief executive of Clayco Corp (nope, they’re not related), presented a redevelopment plan for the shuttered St. Luke’s Hospital on Delmar Boulevard to the City of St. Louis. 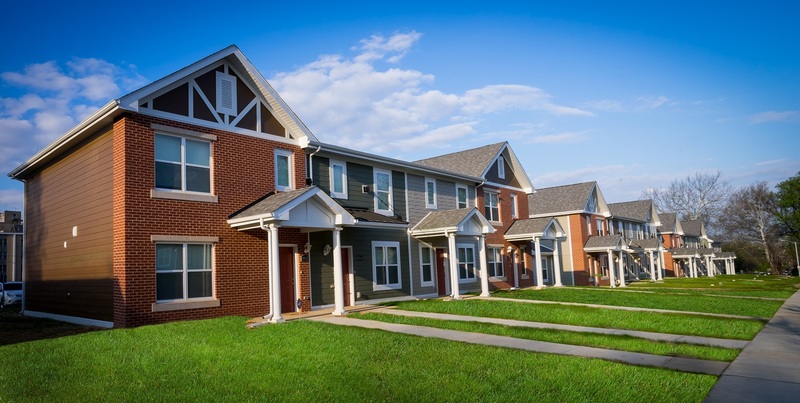 Titled “Delmar DivINe”, the project would include 160 apartments serving Teach for America and house various non-profits, providing shared services and low rent. 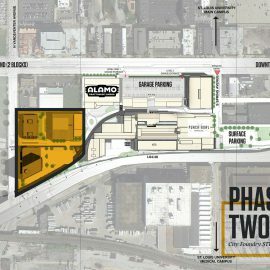 Although a developer has not yet been officially chosen, Clark appears all-in on the Delmar DivINe. A website has been set up to promote the development proposal and present initial renderings for the project. The site states the project will open “Winter 2018”. The second proposal, “Grand Missourian International” by Prad Sabharway, managing director of Ananta Advisors, is described below. 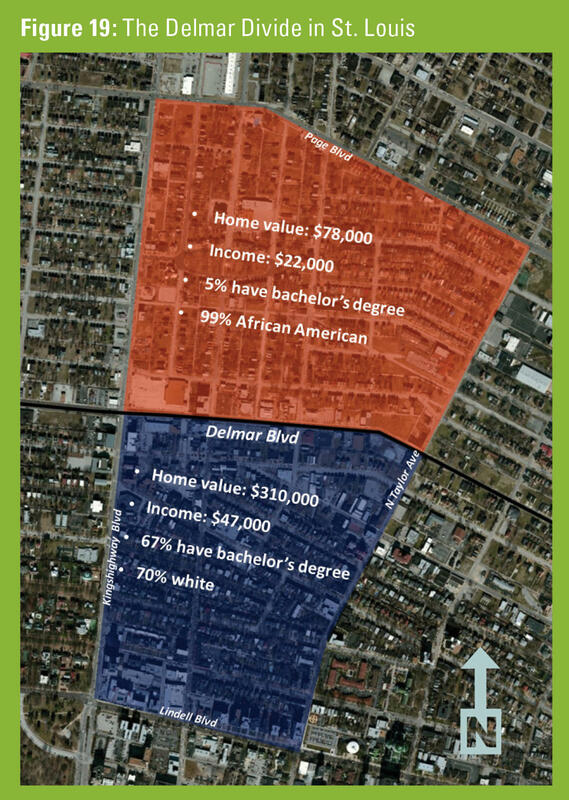 The Delmar Divine is a social innovation, high impact real estate initiative that will set an example for community development, social improvement, and collaboration in St. Louis and the nation. The Delmar Divine transforms good intentions into an action plan for working together, intentionally and deliberately. 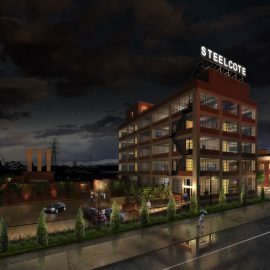 This mixed-use development for social innovators provides office space, shared services and other resources for not for profits, foundations and community support organizations. 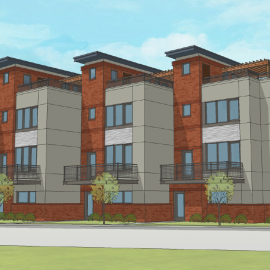 The Delmar Divine will also feature approximately 160 apartments designed for the young, diverse professional, providing great and efficient spaces at reasonable prices. 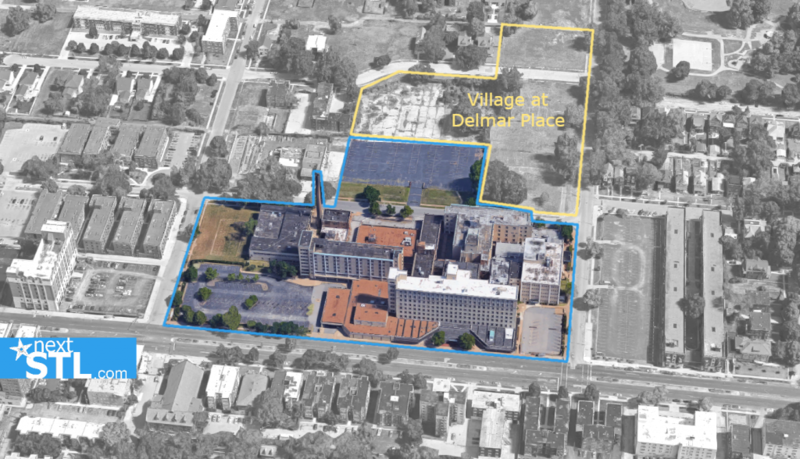 Through this initiative, this once neglected dividing line of St. Louis, infamously known as the Delmar Divide, will be transformed into the Delmar Divine. Delmar Divine’s neighbors include programs and institutions that are equally devoted to social change and cultural legacy which will amplify its impact. Nearby organizations include Washington University’s Brown School of Social Work, Better Family Life, COCA, Craft Alliance, and St. Louis ArtWorks. Learning institutions include Urban Sprouts, University City Children’s Center (UCCC), KIPP Victory, KIPP Triumph Academy, Crossroads College Prep, and LaunchCode. Delmar Divine is conveniently located next to some of St. Louis’ landmark cultural institutions, including The Missouri History Museum and St. Louis Art Museum. Parks and recreation include Forest Park and St. Vincent’s Greenway. The area is served by an excellent transportation system already in place; an active metro bus route on Delmar, MetroLink stations within walking distance, a proposed restored Wabash station, new Delmar Loop Trolley, bike paths and sidewalks are all in close proximity to cultural and educational establishments. 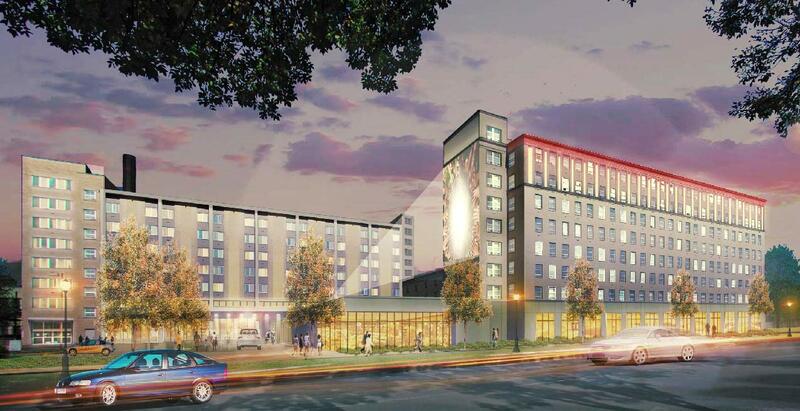 The Delmar Divine will transform a corner of St. Louis City that has been neglected into a vibrant social venture innovation district and living laboratory of change. Built off a proven model of success, The Delmar Divine is fueled by the collective effort of passionate individuals with common goals. 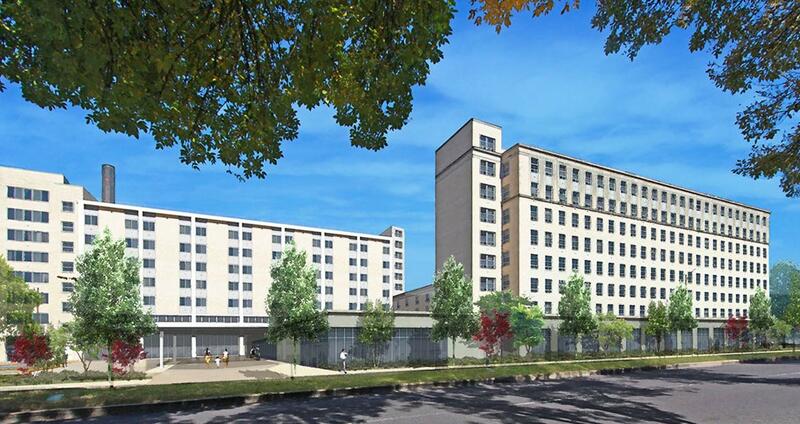 The Delmar Divine is a robust mixed-use development built for community practitioners and other diverse stakeholders. It is built on the foundation of collaborative resources, inclusion of many stakeholders and sustainability. 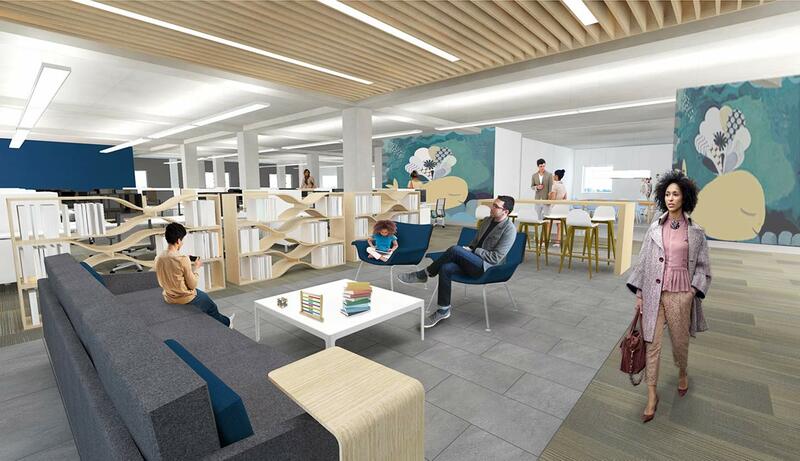 The Delmar Divine offers living and working space where organizations and individuals can see the effects of their efforts in the future of work. In this physical space people work together, are easily accessible to clients, enabling the ability to witness the impact of their hard work in real-time. What is the Delmar Divide, from which this project derives its name? Check out this BBC video on NEXT STL. 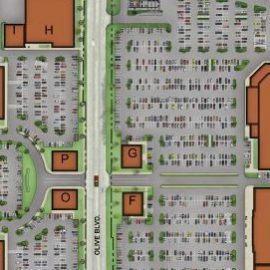 Two developers have presented redevelopment plans to the city that would preserve the existing complex. Located at 5555 Delmar Boulevard, the approximately 7.5-acres site is owned by the city’s Land Clearance for Redevelopment Agency (LCRA). Submitting presentations to the city, according to the Post-Dispatch, were the team of Maxine Clark, founder and retired chief executive of Build-A-Bear Workshop (now CEO of the Clark Fox Family Foundation), and Bob Clark, chairman and chief executive of Clayco Corp (nope, they’re not related). Titled “Delmar Divine”, the project could include 160 apartments serving Teach for America – an idea once explored for the Jefferson Arms building in downtown. The redeveloped complex could also house various non-profits, providing shared services and low rent. Bob Clark and Clayco are near completion of the fast-tracked The Everly, a 14-story mixed use building to the west on Delmar Boulevard. 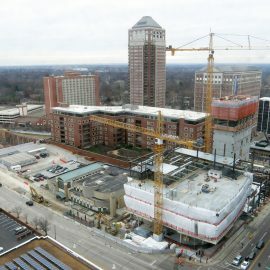 The company’s largest project is the multi-phased expansion of the Centene corporate campus in downtown Clayton. The second proposal, “Grand Missourian International” was presented by Prad Sabharway, managing director of Ananta Advisors. Sabharway’s presentation reportedly included plans for apartments, a movie theater, and production space for clothing and other small item manufacturers. 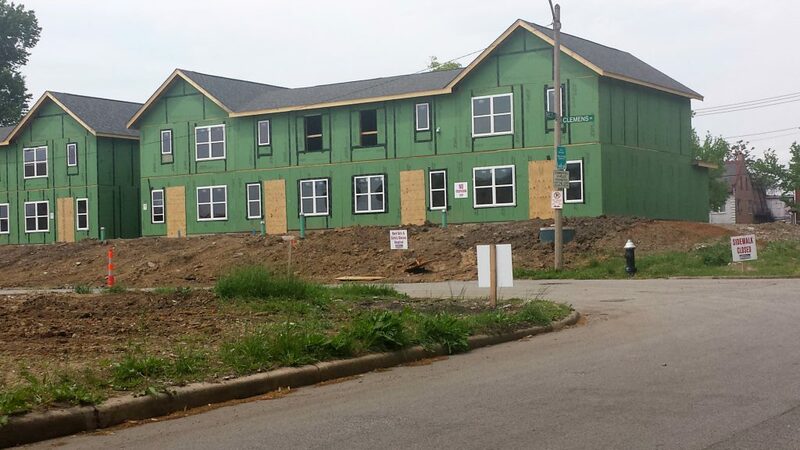 Immediately north of the vacant hospital, Rise has completed the Village at Delmar Place development, which includes 40 single-family apartments and townhomes, 16 2BD apartments, two 3BD apartments, 18 3BD townhomes, four 4BD townhomes, and a community building.